← Wow, it’s been a while. So it’s been 2 weeks..but that’s better than 2 months! We tried this because of the allure of a “one pot” label. Warning: This recipe takes a few pots than 1. This was our first risotto and we definitely learned our lesson that risottos are time-consuming and relatively difficult to make. If you are willing to put the effort into this recipe, it has a great taste! We added bacon but you could add about anything you have in your fridge. 3 Add a ladleful of broth to the rice and stir with a wooden spoon until absorbed. Add more broth, a ladleful at a time, making sure it’s absorbed before adding the next ladleful. 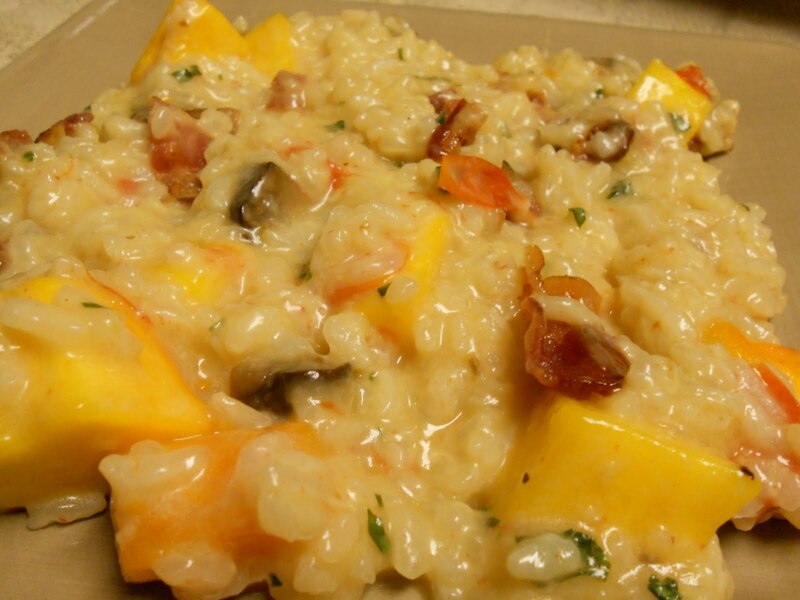 Cook the risotto until the rice is al dente, about 15 minutes.